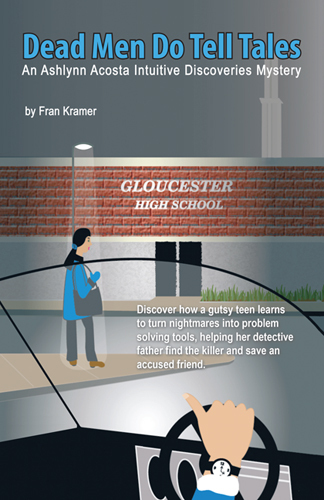 Thirteen-year-old Ashlynn Acosta recently learned that her dramatic dreams are gifts to use and that even the nightmares can be turned into problem-solving tools. Her intuitive skills are put to the test when she dreams about a murder before it happens. Ashlynn must find the true killer because she has unwittingly pointed a finger at her friend as the prime suspect! Solving the crime is only the first mystery unfolding inside a greater mystery: how to use dreams to solve this crime. Ashlynn enlists the advice of a dream expert and a lady detective who gets clues from dreams, in addition to employing the usual detective’s tools of reasoning and observation. Ashlynn finds eerily accurate dream clues-but not pat answers-that may help save her friend. You can exercise your intuition in problem solving. Try Ashlynn’s intuitive methods detailed in the reader’s guide. You might find your inner sleuth!